The journal Izvestiya RAN (Akad. Nauk SSSR). Seriya Geograficheskaya has been published since 1951 (No. 1 was for March–April 1951). All these years it has kept the position of the country's leading academic journal on basic problems of geography. This journal (and its predecessor Izvestiya Akad. Nauk SSSR. Seriya Geograficheskaya i Geofizicheskaya) has traditionally been headed by leaders of domestic geography (Academicians A.A. Grigor'ev, L.S. Berg, N.N. Baranskiy, I.P. Gerasimov, and V.M. Kotlyakov); leading geographers of the country have been members of its editorial board. Izvestiya RAN. 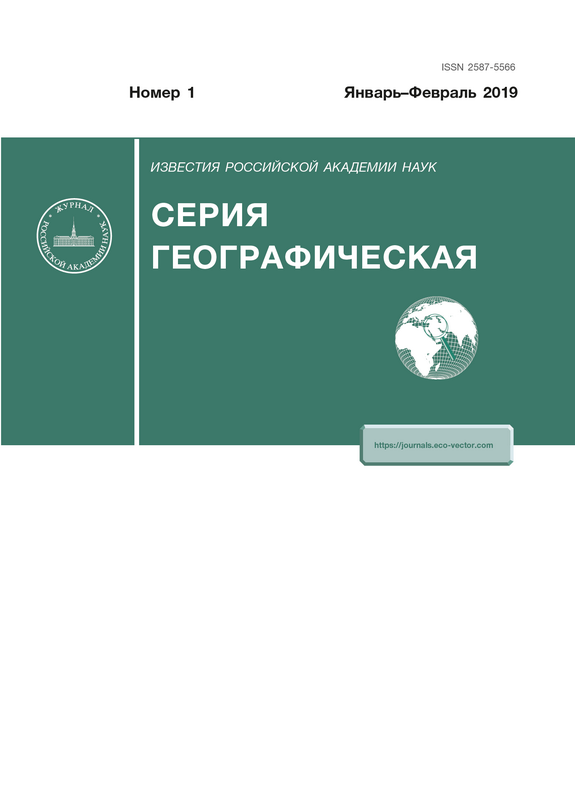 Seriya Geograficheskaya publishes scientific articles and reviews on topical problems of physical, socioeconomic, and political geography and ecological–geographical issues of nature management and environmental protection. The journal reflects the activity of RAS institutes and other research establishments that work in the field of geography and environmental protection, the Russian Geographical Society, and international geographical organizations (including the participation of Russian geographers in their events). It publishes chronicles of geographical symposia, conferences, and meetings; summaries and reviews on new geographical works; and articles dedicated to jubilees and memories of outstanding geographers of the country and the world. The journal's content is based on a stable system of rubrics in accordance with the thematic trends of publications. Each material received by the journal’s editorial board is reviewed by the pool of reviewers formed for this purpose from leading geographers of academic institutes and higher education establishments of Moscow, St. Petersburg, Irkutsk, Vladivostok, and a number of other cities. Over its entire history, the journal has been the country's main scientific periodical on geography and scientific information platform to discuss issues of the development of geographical science, cover at length its theoretical achievements, and use research results in practice.